Every part of Redbooth can be accessed by the API with simple requests. Usual actions include listing objects, adding a new one, editing, showing one and destroying a record (index, new, edit, show, delete). In Redbooth, your account is a User model. A User can belong to many Projects. 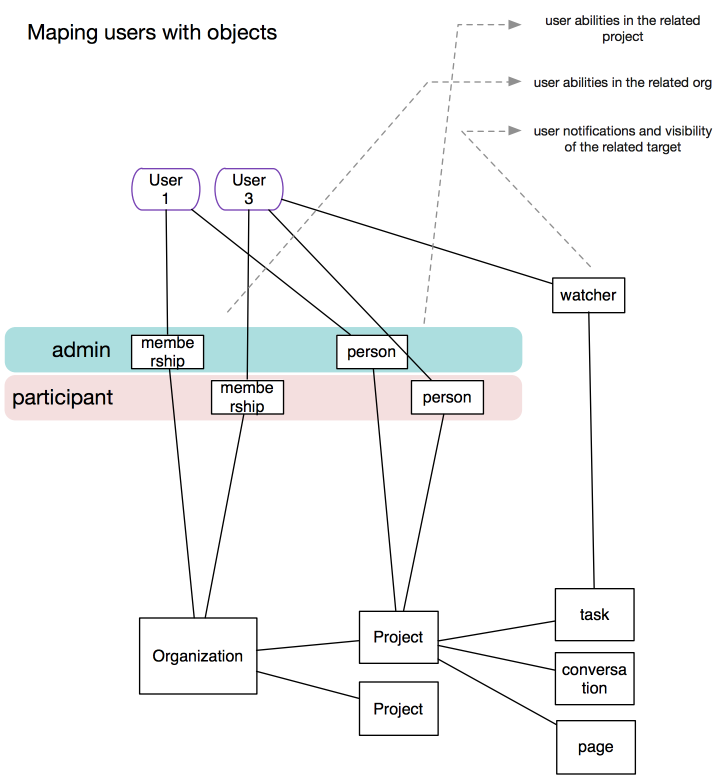 The membership of a User in a Project is represented by a Person model. Person stores information like the role and the date when User joined the Project. 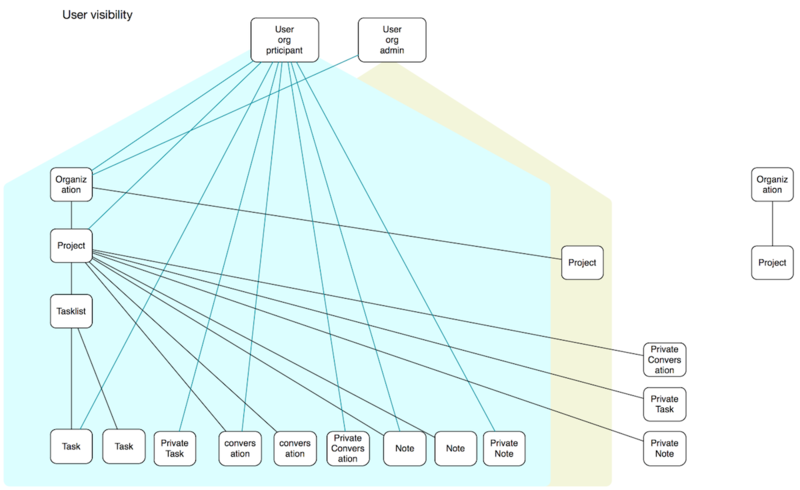 Projects are owned by one User, and have many other Users in it. Projects contain Comments, Conversations, Task Lists, Tasks, Pages and Files. Comments are the most important concept in Redbooth. A Comment belongs to a Conversation or a Task, allowing them to be threaded. Comments store important information, like the number of hours you spent on a Task or status changes for it. Similarly, Task Lists have Tasks. Task Lists provide information like start and end dates. Pages contain different elements: Notes (text with a title), Dividers and Files. Files can belong to a project independently, or they can be attached to a Comment or Page. Invitations are sent before you join a project, to request you to join it. 404: The object you’re looking for doesn’t exist. 406: Not Acceptable (invalid format). You’re probably sending wrong JSON or you need to specify the HTTP headers. 409: Conflict (item already exists). 500: Server Error (hopefully not!). This means our server has some sort of problem. Redbooth currently uses OAuth 2 for authentication. Refer to the Authentication section for more details on how to generate access tokens. The following project objects have APIs: Projects, Activities, Users, Comments, Conversations, Task Lists, Tasks, Pages, Invitations and Files. You can access them through RESTful interfaces, described below. For a collection of objects, the actual objects will be returned in the “objects” list, while any object referenced by the collection will be returned in the “references” list. This reduces the amount of redundant data in a request. The number of returned objects is by default limited to 20. This limit can be changed by providing a count parameter. If the value of count is 0 there won’t be any limit, so all the objects will be returned. There is one exception to this rule, which is the activities index action (/api/1/activites or /api/1/projects/:project_id/activites), where the limit cannot be changed to more than 20.
since_id to get items created AFTER the specified id. max_id to get items created BEFORE the specified id. a combination of since_id and max_id to get items in a range. For a single object, you will get a single JSON object containing the properties of the said object. In addition if you pass in one or more include parameters, additional referenced elements will be returned in the object, e.g. comments. Refer to the “Includes” section on a route for available includes. If an error occurred during a request, you will get the “errors” returned in a JSON object. In the case of POST or PUT requests, each key in “errors” corresponds to a field in the related object you are trying to create or modify. In all cases you will get at least two keys in “errors”, i.e. In all cases you will also get an equivalent HTTP Status code returned. All API methods accept JSON as input, and will return either JSON or JSONP if specified. XML and YAML might be present on some parts, but are not officially supported.